In a video statement released late Friday Raj Grewal says he has repaid gambling debts in the millions of dollars and is now re-thinking an “ill-advised” earlier decision to resign from his job as MP for Brampton East. “In a highly emotional state, completely exhausted and facing extreme time constraint I made an ill-advised statement on Facebook that I would be resigning my seat,” Grewal states, in the 11-minute video released to The Globe and Mail. There has been no official resignation of his seat, Grewal suggests. He gambled recreationally since university, according to his statement, but the habit developed into a mental health issue when he started to play high stakes blackjack at an Ottawa-area casino next to the hotel he stayed at as a parliamentarian. He says he has decided he will be leaving the Liberal caucus and will take a leave of absence to focus on his mental health and a treatment plan. He says he will make a decision about his political future before parliament resumes in 2019. Grewal also addresses his involvement in the Goreway Bridge plan, after The Pointer reported Thursday that Brampton City Council has sent a third-party investigation report to the RCMP that probed activities surrounding a land purchase for the planned Goreway project. Mississauga MP Navdeep Bains, who also received the confidential report from Punia, came under fire during question period in the House of Commons on Friday when Conservatives demanded answers about the eventual Brampton real estate deal for the project that cost the city an extra $1 million, after a negotiation for the property owned by the province fell through. The opening volley was launched by Portage-Lisgar MP Candice Bergen, who wanted Bains to provide details about the Goreway Bridge land deal and whether it was true, as was reported in The Pointer, that he had received confidential information about it, along with Grewal, when the city was trying to buy the property. No questions were posed to Grewal, who was absent from the House on Friday. 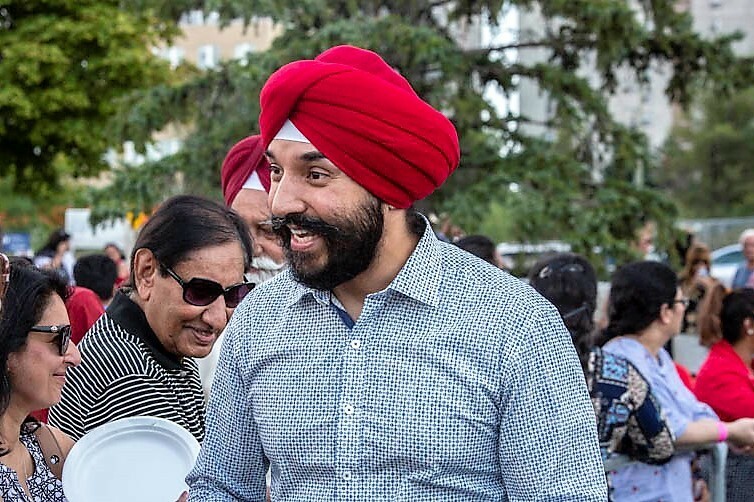 “There is a troubling media report last night claiming that the Liberal member from Brampton East and the Minister of Innovation [Bains] were both given confidential information about a real estate transaction in Brampton. The report says that the results of the investigation into this deal have been referred to the RCMP,” Bergen said in a preamble to her question. The question was answered instead by Bardish Chagger, MP for Waterloo, who unequivocally denied suggestions of any misuse of such information on Bains’ part. “Any insinuation of wrongdoing by the minister of innovation is absolutely false and repeating it outside of this chamber will be met with a strong response from the minister’s lawyers,” Chagger said. Bains' press secretary, Dani Keenan, sent virtually the same comment to The Pointer Friday evening. "Minister Bains did not share with anyone nor benefit in any way from confidential information related to the Goreway Bridge Project. Any insinuation or allegation of wrongdoing on his part are categorically false and will be responded to by his lawyer." Bains’ riding of Mississauga-Malton is near a 20-acre parcel of land at the Goreway Bridge that the City of Brampton had been negotiating to purchase from the province in 2017, so that it could construct a new bridge and other improvements to reduce chronic congestion in the area. Earlier this year, an investigation by Froese Forensic Partners, hired by Brampton council to look into why the city ended up paying far more for it than negotiated with the province, learned that Punia had passed on a confidential document regarding the proposed property purchase to both Bains and Grewal. Grewal said in his video statement that he did not ask Punia for the confidential report. The document forwarded to the MPs included a price of about $3.3 million that had been negotiated with the province. The deal never went through, but according to public records the land was purchased by a private group called Goreway Heaven Inc. not long afterward and was flipped back to the city less than a year later for $4.4 million. City council received the Froese report on Nov. 19 but learned only this week of the fact that it was Punia who sent the confidential details of the proposed deal to Grewal and Bains. 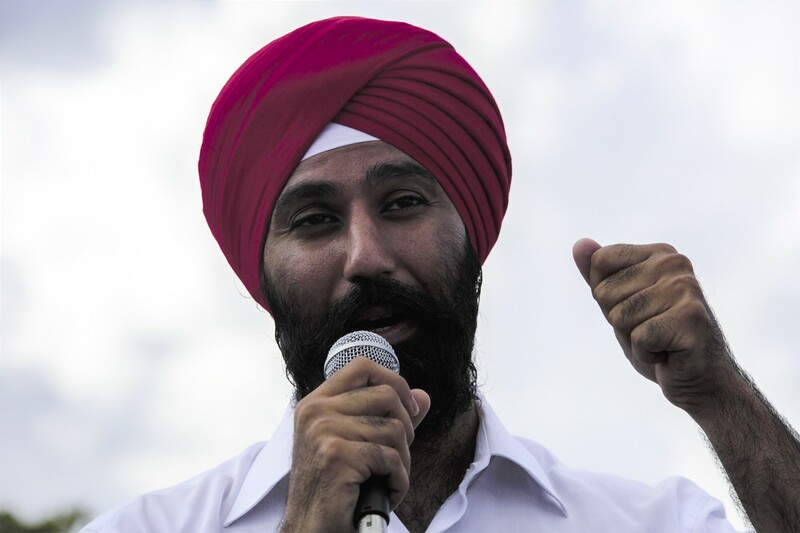 Bains, an accountant by trade, was first elected to Parliament in 2004 as MP for the former riding of Mississauga–Brampton South. Before taking on his current portfolio, Bains served as chair of the Subcommittee on Human Rights and International Development and later as parliamentary secretary to prime minister Paul Martin. During question period on Friday, the Conservatives went on to discuss allegations surrounding Grewal. Punia has likewise not responded to The Pointer’s requests for comment on his role in passing on the sensitive information to the MPs. But Postmedia reported Friday that his spokesperson, Marcel Wieder, said Punia was just doing his job in forwarding them the confidential document as part of an effort to convince the federal government to help fund the construction project. The project has not yet begun. Jeffrey, who officially departed the mayor’s office Friday, had earlier issued a response to The Pointer’s questions through Wieder, who wrote in an email: “The questions you pose deal with privilege and in-camera items and as such the Mayor cannot comment on these matters.” He also said the mayor would be referring the issue of leaked information from the city’s closed-door session to the city solicitor and integrity commissioner. The problems on Goreway Drive have been an issue for years. On May 30, city council approved closing Goreway at the CN tracks as the first step toward building an overpass bridge, part of a project that will cost an estimated $33 million. The project was championed by Grewal even before he was elected as MP in 2015. When it was eventually approved, Grewal released a jubilant video on social media, expressing his pleasure at the approval. “Since I was elected in 2015, I have been working with the City of Brampton and our mayor Linda Jeffrey to get updates on this project and to offer federal assistance,” he said. Grewal’s filings to the Conflict of Interest and Ethics Commissioner reveal that since being elected he opened a growing number of lines of credit and took outside employment with two local businesses: ZGemi Inc., a Brampton general contractor, and later the law firm Gahir and Associates. He also listed joint ownership of a “residential investment property” in Toronto and a joint mortgage with HSBC. 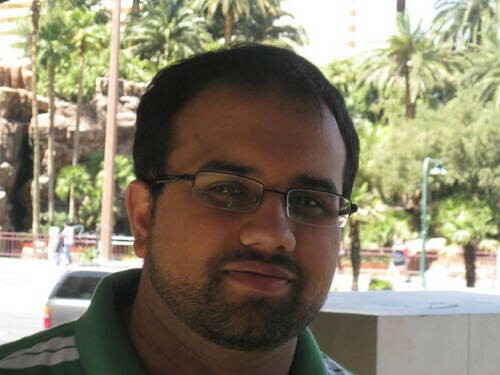 A receptionist at Gahir and Associates told The Pointer this week that Grewal worked directly with lawyer Harinder Gahir, but would not divulge what that work entailed. Gahir has not been available for comment. ZGemi Inc. told The Pointer on Thursday that Grewal offered legal consulting, but there was no response to a request for comment from CEO Yusuf Yenilmez. 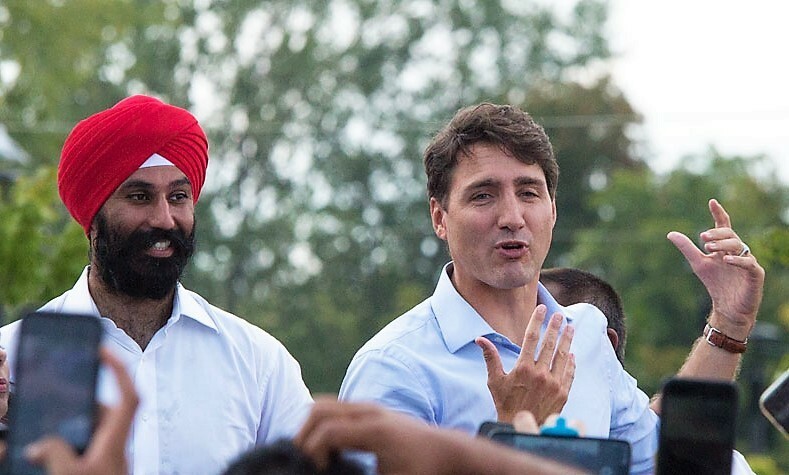 Grewal’s connection to Yenilmez is under investigation by the ethics commissioner after the MP invited the businessman to attend Prime Minister Justin Trudeau’s controversial trip to India earlier this year. A complaint from NDP MP Charlie Angus asserting that Grewal’s conduct violated aspects of the Conflict of Interest Code resulted in the launch of an official investigation by the ethics commissioner, which has not yet concluded.